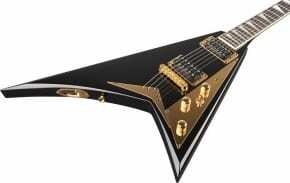 When I was a pimple-faced teen, didn’t notice when girls flirted and was too busy rebelling at school, it only makes sense that my favorite guitar manufacture was Jackson Guitars (the axe of the late 80s and early 90s), my favorite band was Megadeth and ‘Rust In Peace‘ was (by far) my favorite all-time Megadath album. So it’s understandable why this news makes me want to reminisce. So, without further ado… Lets get to the news! Jackson Guitars are supremely thrilled to announce its new partnership with Megadeth co-founder and monster bassist David Ellefson. In addition to the introduction of a new limited-edition Ellefson signature model in January 2011, the pairing will see the fleet-fingered and always-eloquent bassist collaborating with Jackson’s R&D department on new Jackson bass models. 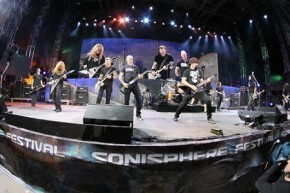 To this, Ellefson brings unrivaled game based on decades of sold-out world tours and groundbreaking metal albums. His new signature bass is a monster, too. The USA Custom Shop David Ellefson Signature Model Jackson Concert Bass is based on the Jackson Concert Bass with which Ellefson recorded Megadeth’s landmark 1990 metal magnum opus, Rust in Peace. Further, it’s a spot-on replica of the instrument he played during Megadeth’s triumphant Rust in Peace 20th Anniversary Tour in 2010 (as seen in the Megadeth Rust in Peace Live DVD/CD and The Big 4 Live from Sofia, Bulgaria DVD). The Jackson bass features an alder body, quartersawn maple neck with compound-radius ebony fingerboard and jumbo frets, pearl shark fin inlays, EMG 35CS neck pickup and EMG 35DC bridge pickup, EMG BQS electronics, Badass bridge, Hipshot tuners, limited-edition burned-in fallout logo and Rust in Peace-themed case. Sixty of the basses will be made, comprising four- and five-string models in both black and quicksilver finishes.